Here's my take on the challenge - a little something for a dear cousin on her birthday. 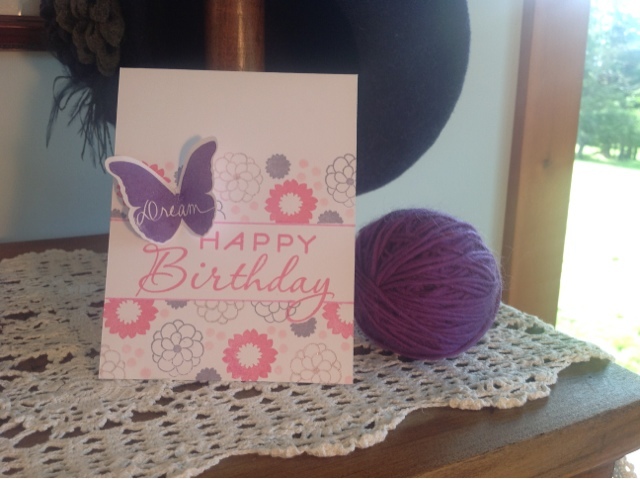 Using a framed out sentiment for the main theme, I embellished the card with a butterfly to make the card "pop". Ink and cardstock also from PTI.